On Thursday the third GR8 MATES program got under way in one of our Hawkesbury Schools and what a great time it was, too. One of the new mentors phoned me early in the day to say she had had an altercation with a horse the previous day and was at one of the local hospitals waiting to see the doctor, as the damage was around her eye. I suggested that her health was more important than anything else and that she should not panic about making the mentor matching session, but we would make a plan for her to meet up with her mentee on another day. I received a couple of text messages as I was driving to the school, informing me that this mentor was on her way! While she obviously arrived late, it was a wonderful example to the students of how committed these mentors are to the program. She and her mentee got on wonderfully well, which was awesome to see ….. It looked as though most of the other matches also got off to a good start, although it’s way too early to jump to any conclusions. Certainly all the pairs were eagerly engrossed in discussion after they had both signed the Mentor and Mentee Contracts respectively. I asked the mentors to go through the contracts with their mentees, pointing out to both that, like a job, one has to get used to making commitments and, by signing the Contracts, they were making a commitment to positively participate in the program A small life skill! Gathering with the mentors for some snacks and a debrief after the session, there was a very positive vibe and I was already seeing the brainstorming of possibilities to make the mentoring journey a wonderful experience for all concerned. 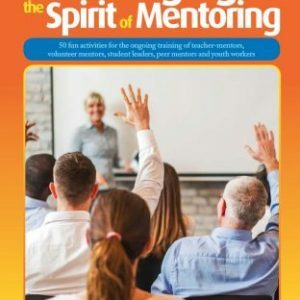 Sadly, for the mentoring program (just being selfish! ), there is a teachers’ Industrial Action day planned for Thursday next week, so we will not be able to meet. 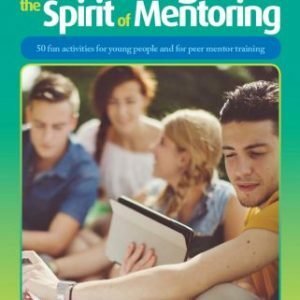 It’s only sad, as the time these mentors will be spending with their mentees is relatively short (six months) and every hour missed could be used in a positive way to encourage a young person to reach their potential.